It started with Apple’s Siri on the iPhone 4 back in 2011; became part of our homes with devices like Amazon Echo, Google Home, and Apple HomePod, and now we are seeing it used in automobiles. It makes search much more convenient and faster than ever. And the technology is only getting better. By 2020, it’s predicted that 50% of all searches will be voice searches. This makes sense, since 60.5 million people currently use a digital assistant—and that number is only going to grow. So, what can we do as marketers to stay on top of the game? Specifically, what does the voice search trend mean to your SEO strategy today? Make sure your PageSpeed is high. A significant factor in SEO for a traditional search is now just as important for voice search as well. Those who use voice assistants to search want convenience, and are looking for quick results. You don’t want to lose a lead because the page didn’t load fast enough for a user to stay. This is just as crucial as PageSpeed. Google already has implemented its mobile-first index—using mobile versions of websites for crawling, indexing, and ranking—because the majority of searches are now done on a mobile device. Mobile friendliness matters even more now with voice search, since it’s primarily done with a mobile device. How mobile friendly is your site? Use Google’s Mobile-Friendly Test to find out. Voice search queries differ from traditional search. The way we type to search is different from when we use a voice assistant to find what we’re looking for. In fact, 41% of people say that voice search is like talking to a friend. Since searches done through voice assistants are more conversational, try using long-tailed keywords and question phrases when optimizing your content. A tool that AW’s SEO team uses to help get question phrases is Answer the Public, which suggests results from Google and Bing. Implementing question phrases will also help you rank for Quick Answers—information that answers queries in boxes that appear at the top of the search results. This is important to voice search because voice assistants read out the information that is from the Quick Answers on Google. Keep your local SEO (LSO) up to date. 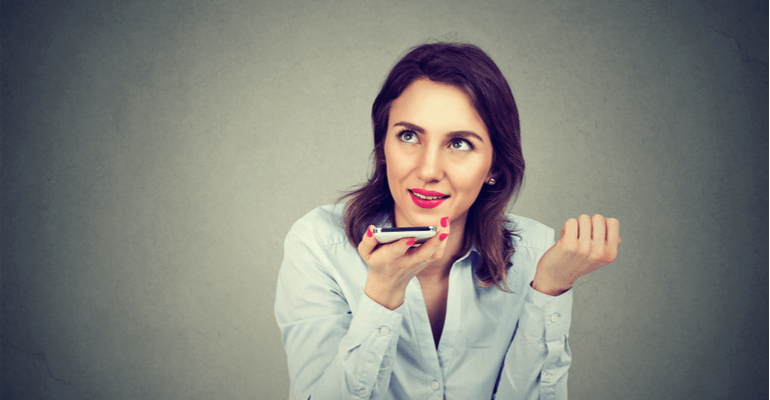 Research shows that 39% of voice search intent is looking for business information. You’ll want to make sure all of your Google My Business listings are always updated with the correct address, location, hours, and contact information. This way when someone searches what stores are open near them, they’ll be able to find that information right way—and hopefully it will be correct. You have now learned the importance of optimizing for voice search and got a few tips on what you can do to stay ahead of the competition. Start testing a few different strategies now, and you’ll be prepared for the future of search.